Passed by Congress May 1, 1810 - Ratified December 9, 1812. (Considerable controversy surrounds this Amendment - The official position of the Federal Government is that it was never ratified - but - in the past few months there is more than ample evidence that shows the Amendment was properly ratified on December 9, 1812, and if not then, certainly no later than March 10, 1819. There has been a lot of discussion over the years about the fact that this Amendment was established to prohibit members of the BAR Association from participating in government offices. If that were the sole purpose for this Amendment it is wasted energy. Our Founding Fathers were much more straight forward than that. This provision was established to maintain the clear dividing line that had been drawn between the three branches of the government. Violation of this provision creates a direct conflict of interest because members of the BAR would be officers of the court in the Judiciary branch and members of the legislature in the Legislative branch. For over 50 years the 13th Amendment was included in the publications of the Constitution for the united States. Many States, Territories, and even the Federal Government, itself, printed copies of the Constitution containing this Amendment. It was unlawfully removed by persons unknown for their own personal greed and aggrandizement. Even though it was properly ratified, it appears that it was never enforced. Thus, all laws, treaties, appointments of officers to government positions, and other acts and actions of the Federal government since 1812 are of questionable validity and may therefore be null and void. It is very interesting to note that only the 13th, 14th, 15th, and 16th Articles of Amendment had numbers assigned to them at the time of ratification. The reason behind the numbering was to insure that the removal of the validly existing 13th Amendment was fully hidden by the proposed, and wrongfully numbered new 13th Amendment. To have just numbered the new proposed Amendment as the 13th and then not number any others would have called attention to the facts surrounding the situation. Whoever was behind the removal of the valid 13th Amendment had to number the next few Amendments so as to further hide their unlawful actions. This Amendment was for the specific purpose of banning participation in government operations by attorneys and bankers who claimed the Title of Nobility of "Esquire." These people had joined the International Bar Association or the International Bankers Association and owed their allegiance to the King of England. Banning Titles of Nobility began in the Articles of Confederation, continued in two places in the Constitution, and finally was added as an Amendment to the Constitution - - an Amendment that was needed as the other bans had no teeth in them to punish those persons who chose to ignore the Constitutional Law. April 30, 1812: Louisiana becomes the 18th state in the Union, but is not consulted on the pending constitutional amendment, although Louisiana recognized the validity of the 13th Amendment by publishing the Constitution in its Law Books in 1825 and again in 1855. June 12, 1812: The War of 1812 begins. June 12, 1812: Governor Plumer of New Hampshire sends letter to New Hampshire Legislature accompanied by letters from the Chief Executive Officers of Georgia, North Carolina, Tennessee, Virginia, and Vermont indicating ratification of the 13th Amendment by their State. Virginia thus is shown to have properly ratified the Amendment. Discounting the letter from Governor Plumer of New Hampshire also requires that the Senate Record from New Hampshire also be discarded. There is no basis under which any reasonable argument can be proposed whereby it can be shown that both the Governor and the Secretary for the Senate were both lying. 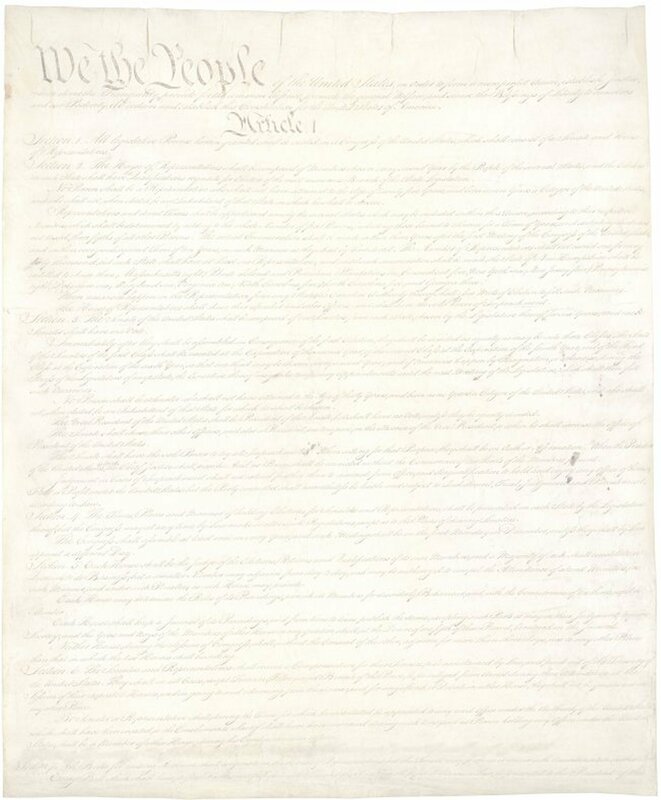 Even if the New Hampshire information is wrong, Virginia printed a copy of the Constitution showing the 13th Amendment in its Law books in 1819. This date is the date, if no earlier date can be confirmed. December 9, 1812: New Hampshire ratifies the 13th Amendment, the 13th of the 13 states required. Ratification was completed on December 9, 1812.